Scheme Partner, Robert Woodhead (Woodhead), and Client Partner, Nottingham City Homes (NCH), are together proudly flying the flag as the Scheme’s very first social housing Ultra Site – on the former Morley School in St Ann’s, Nottingham. The project involves the construction of 39 homes on the Wells Road housing estate, comprising 33 two-storey two and three-bedroomed houses and six bungalows. 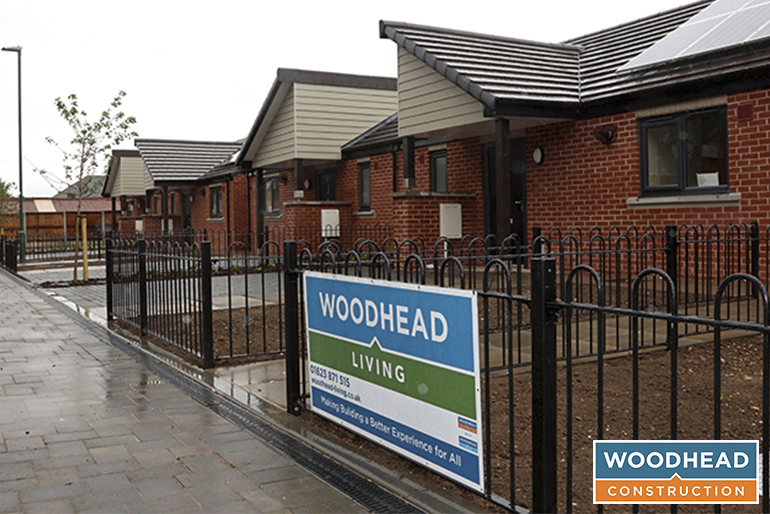 Working alongside the development team at Nottingham City Homes, Woodhead was one of 11 leading contractors to pilot the Scheme’s Ultra Site trial, registering the Former Morley School project in June 2016, helping to pave the way for the official Ultra Sites’ launch in 2017. Richard Whittaker, Head of Development at Nottingham City Homes, said: “We work closely with the CCS as a Client Partner and had many discussions with them before embarking on this pilot. Outlining the key benefits of the project, Robert Woodhead’s Marketing Manager, Mathew Hall said: “Being an Ultra Site has given a finer focus to our efforts in improving the image of construction and it has brought about a higher level of need and achievement. Mathew added: “There is a sense of credibility with working on an Ultra Site for our staff and the subcontractors we work with, not to mention Nottingham City Homes itself as the first Client Partner to deliver an Ultra Site. It has helped us to build a real pride in the project team, and encourages them to fully embrace the concept. “It has helped us to demonstrate how good we can be nationally against our peers and client bodies alike. Working on an Ultra Site also gives us the opportunity to broaden the Woodhead brand and demonstrate our commitment as a business to being a considerate constructor. Community was at the very heart of this development, with one of its roads – Taylor Place – named in memory of local community champion, Thomas Taylor. Local stalwart Mr Taylor, who sadly passed away in 2004, had lived in St Ann’s for most of his life and devoted his retirement years to working as the caretaker in the community centre in Wells Road, opposite the site. Mr Taylor was survived by his wife Christine and daughter Joanne, who are still very much involved with the running of the centre. The development is on the former site of Morley School, where Christine worked for many years. The enhanced sense of credibility and pride felt by Robert Woodhead as an Ultra Site had filtered down to the supply chain, with subcontractors and suppliers sharing the positive effects of being an Ultra Site. Mathew said: “Becoming an Ultra Site has enabled a core group of subcontractors to become partners of the CCS, enabling them to further benefit from this association. 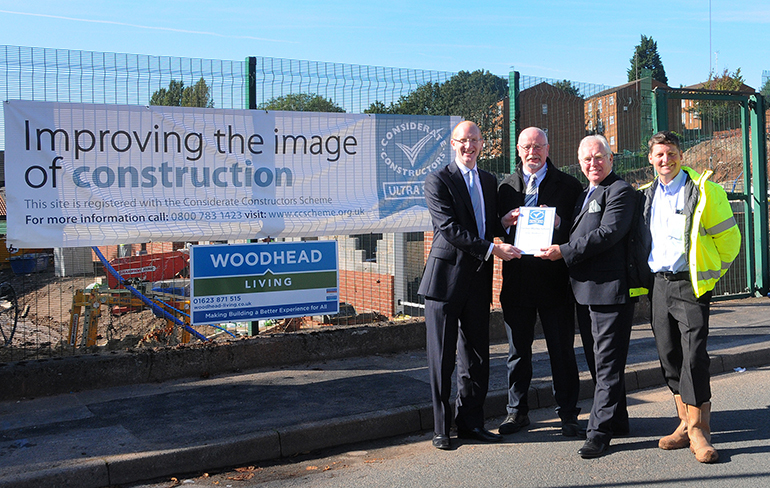 Robert Woodhead has proved its credentials as a considerate constructor by scooping 11 CCS National Site Awards, including two Most Considerate Site Awards – one in 2017 for the King Edward Skate Plaza and another in 2016 for its Denton Green Bungalows project, a previous collaboration with NCH. 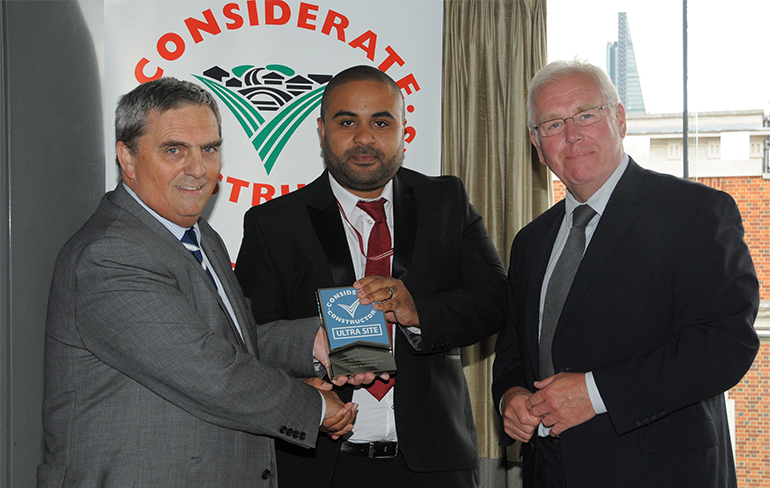 Commenting on the awards successes, Mathew said: “When we make a commitment to something, we really mean it. From the inception of a project to its completion, each and every one of our site managers and project teams are aware of the need to consider the needs of the workforce, engagement with the local community and respect for the environment they’re working in. “For us, this has never been a box-ticking exercise; focusing on the key themes set out by the CCS is a natural part of our culture and embedded into the work of every one of our site teams.